Welcome! 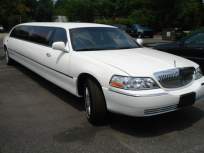 Delta Limo Service offers premier ground transportation with professional and dependable service. Delta Limo provides both cost-efficient transportation services for corporate clients and super stretch luxury limousines for a special person such as yourself. Delta Limo Service is well trusted and well known limousine service backed by the Better Business Bureau of Mainland British Columbia with stretch limousine service around Greater Vancouver & Surrey British Columbia. Delta Limousine offers dependable, courteous service to and from both the airport and cruise line terminals. You will be delivered directly to your departure point where your luggage will be unloaded for you. Delta Limousine Service supply a safe, comfortable and worry free journey. We've been providing first class transportation solutions for over many years. We have kept up with travel trends and set new standards along the way. It's our top priority to be your most trusted transportation partner and to go Beyond for each and every client and guest we serve. In order to better serve you, our courteous, friendly staff is available 24 hours day, seven days a week. They will work with you in developing the most efficient approach, tailored to your transportation needs. We cater to any and all occasions, including corporate transfers, weddings,proms, birthdays, bachelor/ bachelorette parties, out-of-town trips, anniversaries, dinners, concerts, funerals, awards, airport transfers, and others.